This is a truly deluxe collection of the rarest, most beautiful and exotic birds. 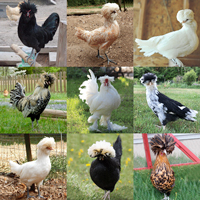 Have you ever seen any of these: Sumatras, Dominiques, Golden Laced Wyandottes, Silver, Golden, Buff Laced, and White Polish, Golden Campines, Golden Penciled Hamburgs, Silver Penciled Rocks, Partridge, Black, Buff, Blue, & Silver Laced and White Cochins, Dark and Buff Brahmas, Phoenix, Fayoumis, Salmon Faverolles, W. L. Red Cornish, Lakenvelders, Black and White Langshans, Red Caps, Silver Leghorns, Crevecoeurs, Silver Gray Dorkings, Modern BB Red Games, Sultans, Buttercups, & Spanish? 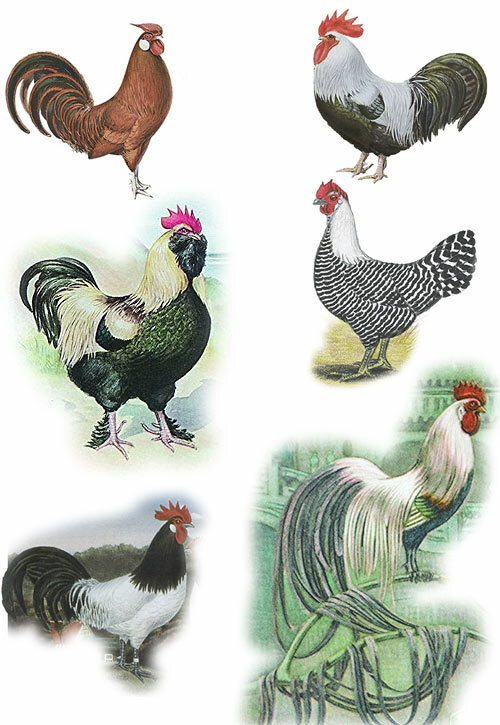 These exotic, beautiful varieties are found only in your larger poultry shows and are extremely rare. 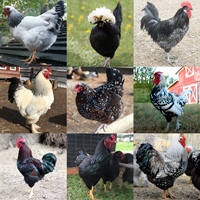 Each order of Rarest of the Rare Assortment will include straight run chicks of at least 10 different varieties from the breeds listed above. We cannot guarantee to include or omit specific breeds from the above list. If you must have only certain varieties, please order by individual breed. Assortments may contain additional chicks not listed that still fall into this category. What does st run mean? Straight Run means "as hatched", unsexed. We have no indications of knowing how many males or females will be received in a straight run order. 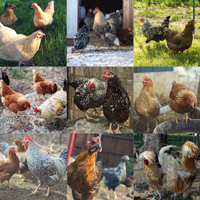 Happy CustomerReceived my chicks !st week of May 16, All are doing well and tripled in size. So excited to see them change every week. Happy CustomerMy 15 ordered chicks arrived today (4/27/16) alive and well and we got a bonus chick! Nice. Very happy with the variety and look forward to seeing what they mature to. 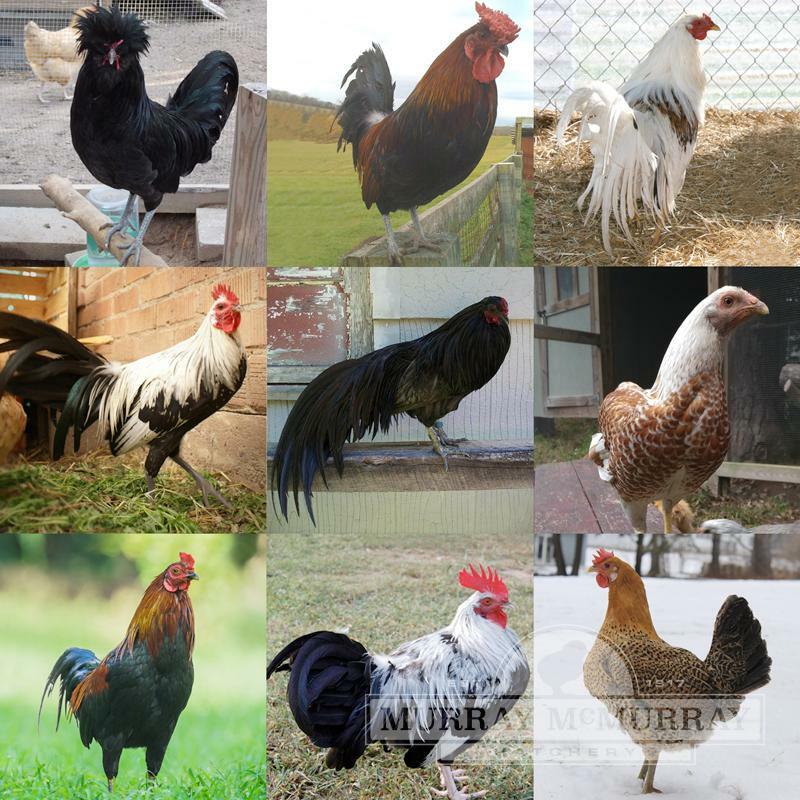 One thing I do want to mention, be sure to let your local Post Office people/Post Master know your expecting chicks to arrive and be sure they have a way to contact you once you are notified by McMurray chicks have been shipped. Even though I filled out all the order info requesting they tell the PO to call me, the PO received none from McMurray nor any phone # listed. Good thing I live in a nice small town. Just a heads up to cover your bases.